Posted on February 6, 2016 March 26, 2016 Categories Hokkaido Area, Rail pass for visitorsTags Atami, Hakodate, Haneda (HND), Hokkaido, Narita (NRT), Odawara, Otaru, Otsuki, Sapporo, Shinkansen, Tokyo, fuji, karuizawa, tohoku, yuzawa173 Comments on JR East-South Hokkaido Rail Pass user guide. Perfect deal for the travelers who visit Tokyo and Sapporo by train. This brand new pass will be released in April, 2016. This pass covers Narita airport, Greater Tokyo, Gala Yuzawa, Nikko, whole part of Tohoku region, Hakodate, Otaru, Noboribetsu, Lake Toya and Sapporo. You also may use this pass to get Lake Kawaguchi and Hakone even though this pass covers these trips partially. You cannot use this pass to get central, northern and eastern Hokkaido, such as Furano, Asahikawa, Shiretoko, Kushiro. Japan Rail Pass (a.k.a. JR Pass) is better choice if you intend to visit these places. In this post, I would like to show you the detail of this pass. And I show you some sample rate and compare the pass value and single fares. You may find this suits your plan or not. Continue reading JR East-South Hokkaido Rail Pass user guide. Perfect deal for the travelers who visit Tokyo and Sapporo by train. Otsuki station guide. How to transfer from JR train to Fuji Kyuko train. Posted on May 6, 2013 February 12, 2018 Categories Mt. Fuji and Hakone, Station informationTags Fuji kyuko, Otsuki, kawaguchiko, mt. fuji195 Comments on Otsuki station guide. How to transfer from JR train to Fuji Kyuko train. Otsuki station is the station where you change to/from JR train and Fuji Kyuko train. If you travel to Kawaguchiko (Lake Kawaguchi) and Mt. Fuji by train, you will transfer at this station. 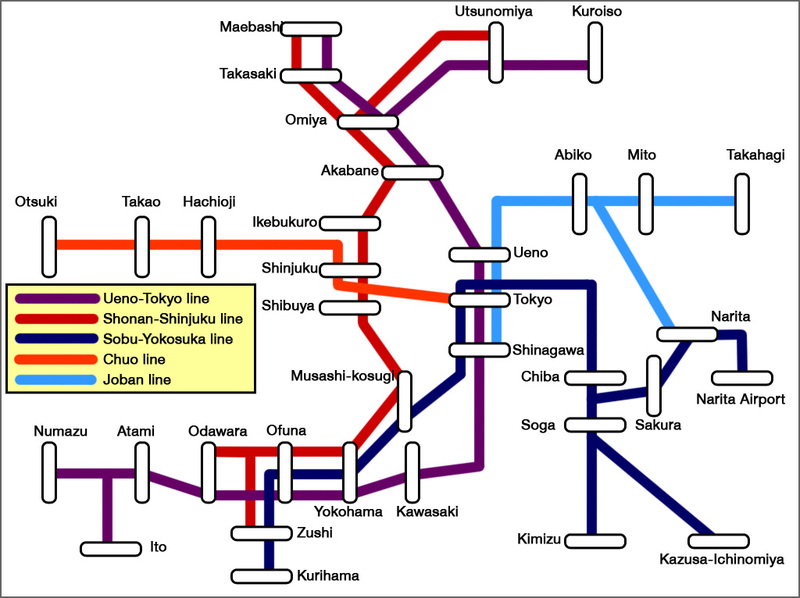 Many limited express trains to/from Tokyo and Shinjuku stop at this station. Some rapid trains go through Fuji Kyuko railways to Lake Kawaguchi via this station, Otsuki. In this post, I would like to show you some images and explain about this station. You will find how to transfer the trains here at Otsuki station. Continue reading Otsuki station guide. How to transfer from JR train to Fuji Kyuko train.